This is a picture of an eroded crinoid calyx fossil. It appears to be a Dolatocrinus. 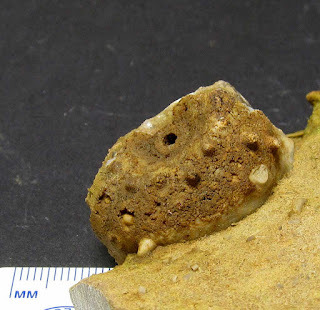 The fossil was found in the Jeffersonville Limestone of Clark County, Indiana, USA. It dates to the Eifelian, Middle Devonian Period.